Here is why sailing lessons are a great adventure...You can go surfing anywhere in the world. You can go climbing anywhere in the world. How about sailing? 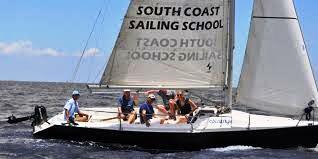 Thanks to sailing charters and schools, you can learn to sail and place your own sailing escapade anywhere in the world as well. 1. Fresh knowledge, new skill. Learning how to sail is a refreshing new found knowledge that has been waiting for you to learn. There is so much useful information that you can tack onto everyday life, and things that you honestly never knew. The skills that will be taught and left for you to develop are amazing. Tasks that you never even thought you would bring yourself on. The skills learnt in sailing lessons will be part of your personal achievements as you advance and develop them. 2. A new environment. Have a whole new perspective of learning as you have the water as your campus and your boat as your classroom. A significant amount of learning will be done on dry land but the majority of the time you will be in the open waters to directly apply all the skills and theories you have received. 3. Physical challenge. 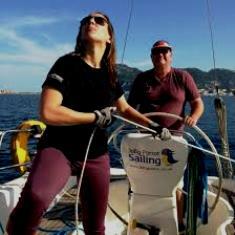 Sailing is a physical activity and you may be overwhelmed during your first few days of learning. Even keeping your balance on a buoyant vessel can be physically challenging let alone sailing it while keeping your balance. Reasons You May Not Think Of! 4. Intellectual challenge. The adventure of learning how to sail does not end with the physical tasks that you will face, knowing when and how to use the elements of nature for a satisfying sailing activity is as demanding as pulling the anchor as you get ready to set sail. Discernment and judgment are commonly used in sailing and it plays a very significant role in determining sailing success and safety. 5. Working with nature's powers and elements. During your sailing lessons you will be taught how to work with the wind, weather, water and what lies beneath. In a way, respect for nature and what it brings you will be primarily emphasized; not taking each element for granted will also be appreciated. Using nature to your advantage and knowing when not to also plays an important role in your future sailing adventures. 6. New friends and trusting them. An adventure has an element of doing something that you will not normally do on any given day. Apart from the adventure of learning something new and doing something unfamiliar, you will meet new people particularly your skipper, instructor and classmates. You will have to trust them during the learning process. It would be easy to do on dry land, but once you get out into the water and all your fears set in, this act will be quite difficult. Trusting a stranger with your life under vulnerable circumstances is an adventure in itself. This is the part where you will have to rely on the safety skills taught on dry land and that primal research that you did on the school and instructors credibility before signing up. 7. The greatest escape. Sailing lessons are as refreshing and relaxing as sailing on your own. You get to intently focus on learning this new skill that you totally detach from that deadline you have to meet, that leaking faucet which is due for repair, that new route you need to take to get to work and all of life's burdens. As you get deeper into sailing you will discover that it is a great way to clear your mind and frankly speaking take a break from it all. As far as adventures are concerned, ones that entail sailing are the most remembered and often times passed from generation to generation as a bed time story or that of encouragement. Sailing has come a long way from the early times when people used the activity mainly for survival. Nowadays, it is more of a recreational activity that is truly fun and interesting to learn. 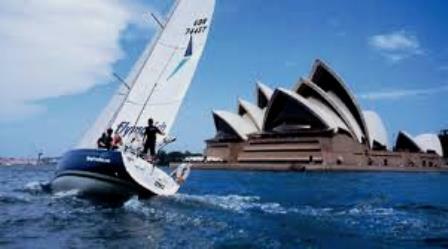 Take it easy and acquire some sailing skills and look forward to another new and unforgettable adventure. Steven Washington is a lover of sailing. 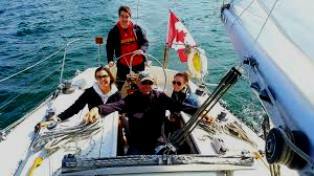 He is also an experienced writer and enjoys sharing information and tips on sailing with other like-minded people. Steven Washington has experienced and tried sailing all around Australia and recommends anyone interested in sailing lessons to give it a go! !